Typographic-style, personal bookplate with detailed border and name at bottom. 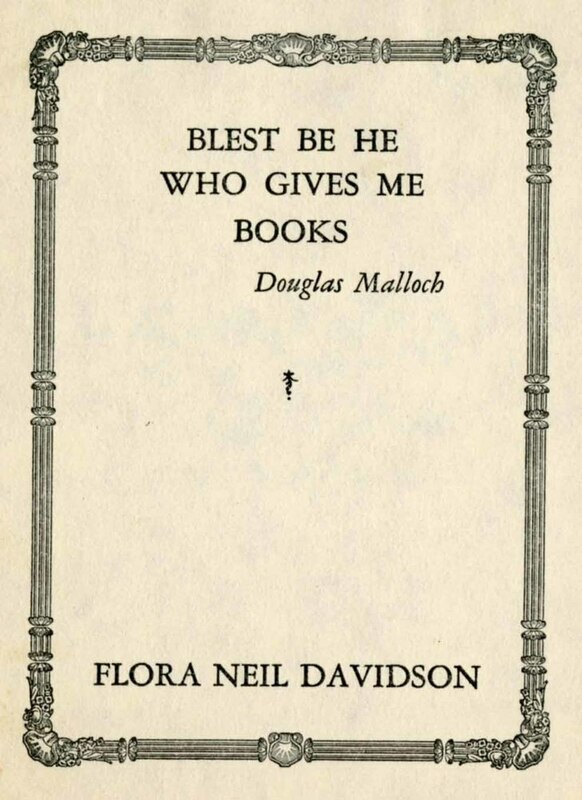 Quotation at top reads “Blest be he who gives me books.” – Douglas Malloch. Handwritten on back is the owner's name and address "Mrs. Flora N. Davidson, 1812 W. Lawn Ave., Madison, Wis - 1935." 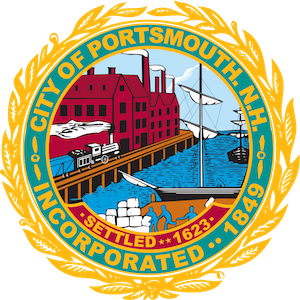 ~ Unknown, “Flora Neil Davidson,” Portsmouth Public Library's Online Archives, accessed April 21, 2019, http://portsmouthexhibits.org/items/show/1815.